Your book was really very enlightening. You have done a remarkable amount of research and your narrative helps paint the ‘real life’ picture of how the facts and details impacted people’s lives. I honestly had no concept of the challenges my ancestors faced. Many, many thanks for your efforts. For those of us interested in the details of life from this part of Germany, this resource will give our families a small window into our ancestors’ world. Have you ever wondered what life was like for your German ancestors? Have you ever tried to find a book on everyday village life? If so, you’ve probably already figured out that there aren’t any books out there on the topic! But now, you can learn all about German village life in a book that is filled with information, but fun to read. 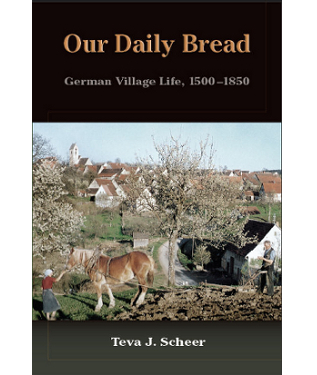 Our Daily Bread uses a fictitious family, the Mann’s, to explain the major historical events and the everyday customs in German villages between the years 1500 and 1850. Read chapters on wars, religion, community structure, courtship and marriage, inheritance, family life, and emigration. 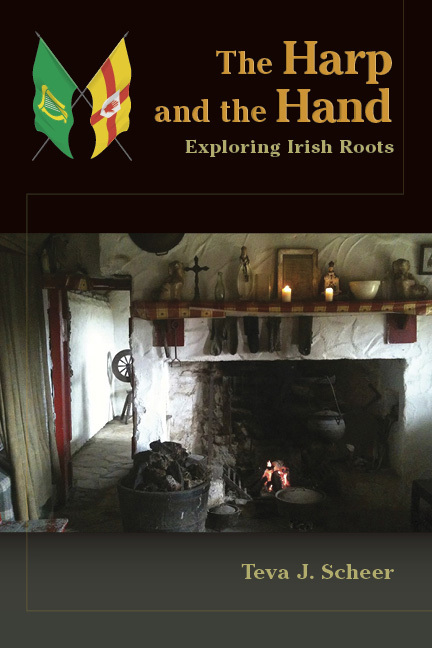 Recommended for anyone who is curious about who their German ancestors really were, or anyone who would simply like to know more about German history and culture. What prompted you to write Our Daily Bread? I was very curious about what life was like for my German ancestors. It wasn’t enough to learn their names and dates and village names – I wanted to know about village customs, marriage practices, family life, and why my German ancestors came to North America. But I couldn’t find any books that told me what I wanted to know – so I wrote one. What kind of research do you do to write something like that? I had just finished researching and writing Governor Lady when I started this project, so I was very familiar with the “detective work” involved in historical research—combing through archives, reading old newspapers, tracking down old letters, visiting places associated with my story, interviewing local people with information. But because I wanted the sources I used in this book to be available to my audience—in other words, to be written in English—I depended heavily on research already completed by English-language academics. I read and took notes, nonstop, for over four years. My goal was to take their work, which can be somewhat dusty and dry, and turn the information into a fun read. Do you enjoy historical Research? I love it! The biggest problem is knowing when I’ve done enough, and then forcing myself to stop! Research is the fun part. Writing is the real work. How long have you been interested in your German ancestors? My mother was interested in tracking, but she did her research before the Internet revolutionized genealogy. Once my children reached their teen years and didn’t need as much of my time, I picked up Mom’s records and decided to extend them. Probably my biggest thrill was figuring out the home villages in Germany for several of my family lines, and then sitting down for the first time with German church records. One last question, why did you call your book Our Daily Bread? I don’t want to give anything away, but if you read the first chapter you’ll figure it out.